I've often said my quilts have more exciting lives than I do. 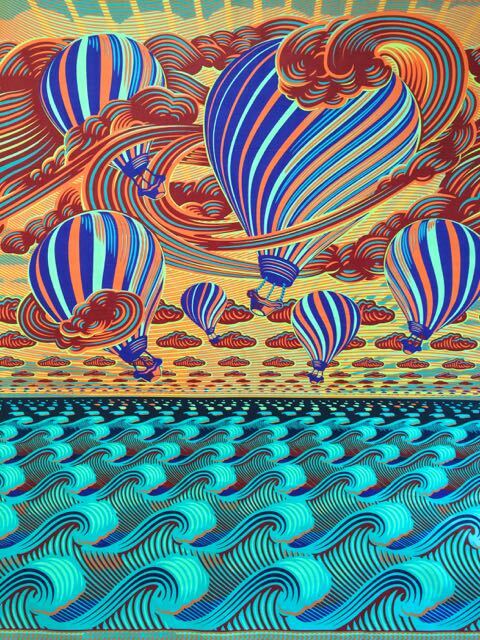 They certainly travel more with trips to exotic faraway places, performing in their in colourful textillian ways. If only they could tell stories of their adventures, I'm sure they would keep us entertained for hours with interesting tales. All I can report is the parts of their journeys that I do know about. 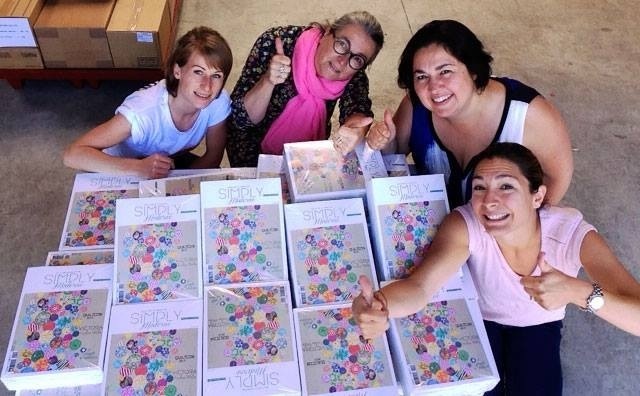 ... but seeing this photo from the Quiltmania Facebook page of stacks of the magazine surrounded by the team who have produced it made it seem extra real. If you want to see more of the magazine you can flip through and see all the great projects inside at the Quiltmania website, and of course look out for a real copy in newsagents and quilt shops. Or order a copy Here. It's a big honour to have a quilt accepted in the World Quilt Show, and of course I'm over the moon about it, however there's a part of me that is going to really miss seeing this quilt hanging on my wall, but it's good that it's off to spread it's happy ways around the world, after all I made this quilt with the aim to make people smile. If any of you see it hanging in these shows, I would love to hear about it. I'm sure your quilts would have some very interesting stories to tell, its a shame they don't have passports as well :) there is nothing better than folding fabrics and tidying up the workroom to help get the mojo back, you often discover fabrics you had forgotten about or parts of a project that had been stuffed away, and music seems to help the work go faster. 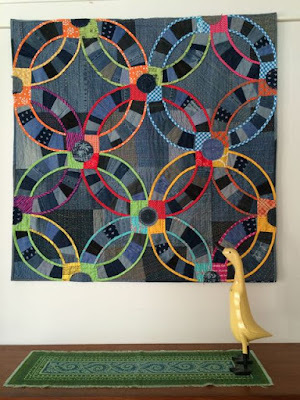 While the quilts are delighting quilters across the globe you are entitled to some time to stop and fondel the fabric. I know are letting the dust settle while enjoying your stash. Enjoy the bright clear sunny day. 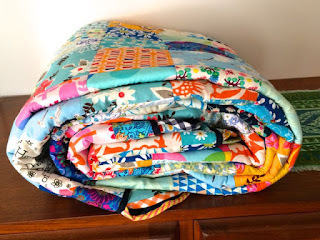 How wonderful, to know where your beautiful quilts have been , and are going! I'm sure they remember and have enjoyed their travels. Well done Rachael! So pleased to hear that your quilts are travelling the world. So exciting for you. Coincidentally I have spent the last two days sorting out my sewing room. And finding pieces of fabric I had forgotten all about. I am now fired up to make some more quilts........ Although I should be finishing some of the many WIPs. Such is a Quilter's Dilemma! Wow, you must be very satisfied with the recognition your quilts have received, very special indeed. 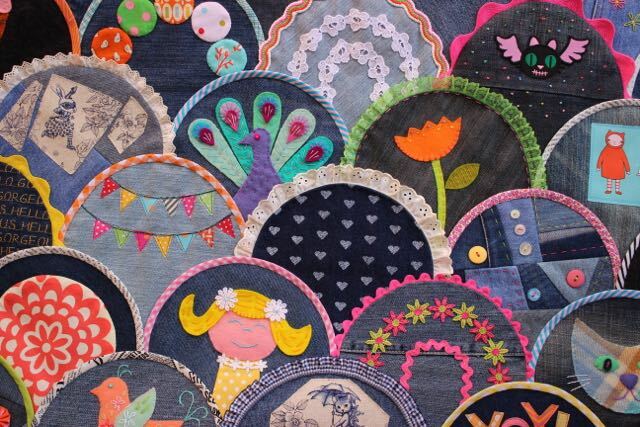 Do you feel any pressure to only create amazing quilts or do you find your creativity just bubbles along undaunted? No, I don't feel pressured to only make amazing quilts. I don't even think of my quilts as amazing, they're just the quilts I make. I often come up with designs that keep me interested and push my abilities so i grow as a quilter, other times it's about just easy sewing and playing with colour. Working as a florist has meant that on a daily basis I've thought creatively, I believe that that's continued in my quilt making, it's just something I do. It's just wonderful that you are getting recognition for your amazing quilts because you are such a talent ! Dollop of Cream needs to come to Texas ! How exciting to see your quilts traveling all over the world--congratulations! 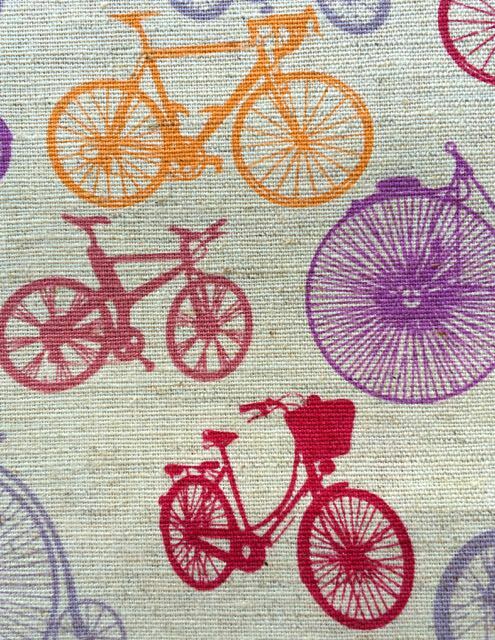 You certainly have some fun fabrics in your stash--it will be interesting to see how you use them! You deserve such a consideration! I am very satisfied that Quiltmania launches this new magazine about modern quilts, it will be more fun for everyone! 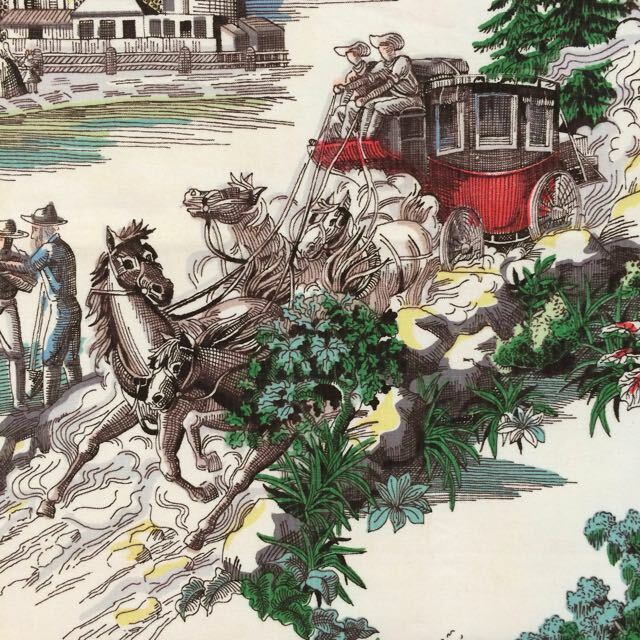 "textilian ways" = I love it and all it conjures up! I've just started following you, I think, so the "happy as a clam" is new to me as well. Wow. Very inspiring, I mean it! I really enjoyed this post. I think it is great that your quilts travel so that more people can enjoy them. Photographs are great but there's nothing like seeing the real thing! I love your travelling fabrics! 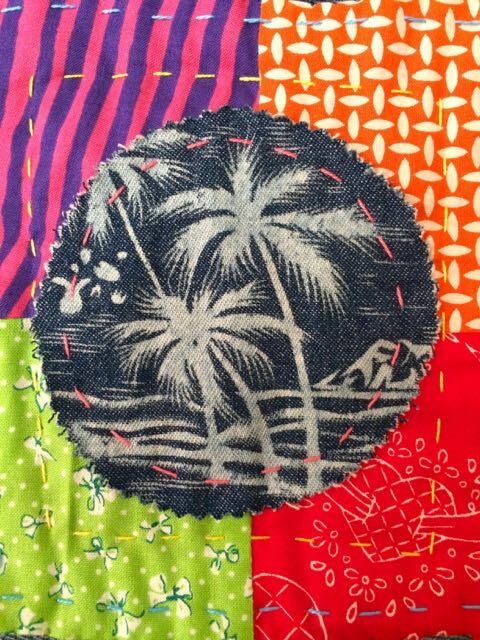 I think it's incredibly exciting that your quilts are in different exotic destinations around the world. This past 12 months has been so wonderful for you in so many ways. And a magazine cover is amazing...something I could only dream of! Wow your quilts do have exciting lives. I'm sure they will enjoy their travels but they will be glad to be back on the wall when they get home. Well how exciting is that - it would be more exciting if you went with them, lol, but still. It's very good of you to be spreading such happiness around the world!! Oh RAchael WOW how exciting that your quilts are travelling around....your quilts are so different and so individual...bet you're an awesome Florist too! Congratulations on your grand touring quilts Rachael. My cow quilt just came gone after a two+ year tour if quilt show. So glad to have it back home. It was literally out the door about two days after stitching the binding. Never got a chance to get some embellishments on. I'm happy to say I've found a shop in Washington state that will have the Simply Mldern magazine if I can't find it nearer to home. Can't wait to see the pictures of your cover girl. How exciting for you! Quilts going off on grand adventures, quilts coming home after their adventures and magazine covers!! 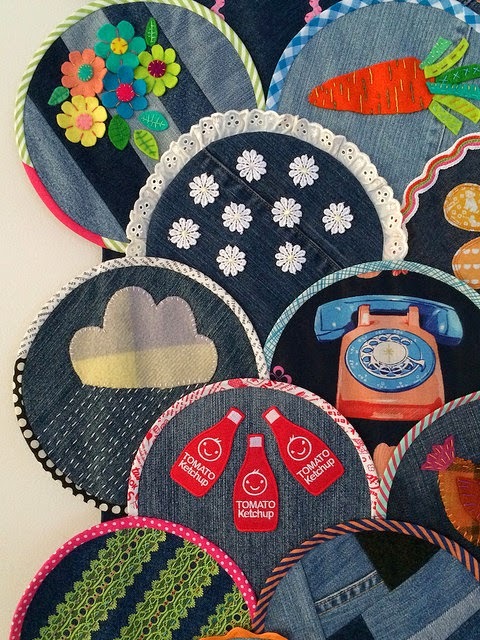 You and your quilts have had an amazing year - and it's well-deserved too. You must be so happy to have such recognition. I so admire your creativity and willingness to try new things in quilting. I'm wishing and hoping I could get down to PIQF in Santa Clara to see 'Happy as a Clam' - it's not out of the range of possibility. If I do go, I'll let you know! I've been away in France, and look at all I've missed! 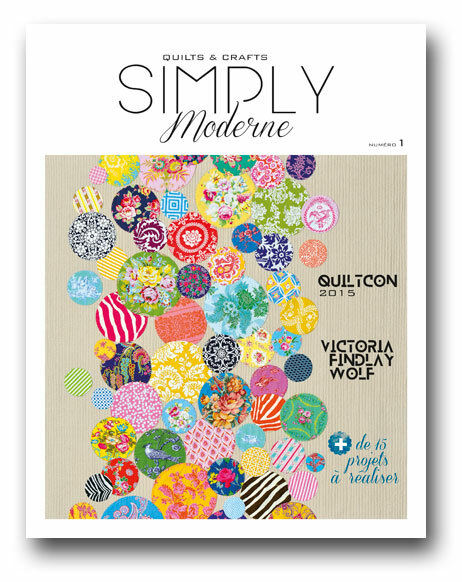 I think I just missed getting a copy of the Quiltmania modern magazine. It's so very exciting! Your quilts are making people smile all around the world! I hope you'll get to travel with them someday. Oh my goodness - I had no idea that was your quilt on the cover - well done you !! its sooo fabulous :) and so nice to be able to hang up your double wedding ring ! all those lucky people being able to see your happy clam up close - goodness I love that quilt - so many amazingly awesome mini designs on each of those clams !!! This quilts don't just travel more than you do, they travel more than several people put together. They are just living the jet set life, ordering gin and tonics on the plane and hanging out in airport lounges. Congrats on raising such cosmopolitan quilts. And they always come home without any odd illnesses accumulated along the way. I'd LOVE to take a photo with your Happy as a Clam quilt (except I'm not going anywhere anytime soon!). I can't believe that your Double Denim Wedding Ring quilt has been away for more than a year (I just adore your yellow duck in front of it. Is it wearing gum boots?). You are an absolute super star! Oh, and that final transport fabric (balloons) is AMAZING!! yeah on the wanderlusting quilts! how cool to have them shared. i get that about missing your quilt though. i'm funny like that too about gifts i make. they are a part of me. i'm happy to see them go to their new homes but a little sad too... but then when the recipient is pleased that brings joy all around. i'm in the middle of getting my mojo back too. i've been doing some serious organizing. What an amazingly good time for you! How exciting to see your quilt on the cover. I can't imagine how awesome you must feel!! Congratulations on everything - you've done the hard work and you are being so well rewarded! Are you playing in the snow right now? I think you should get your star studded quilts issued with a passport and attach a GoPro to record their travels. 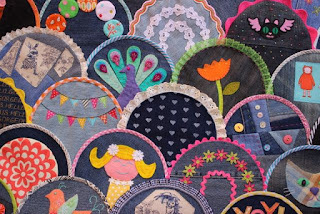 How cool would that be to have a camera recording all those that peer at your quilt and then play it back at a fast speed (like a time lapse). It would be great seeing all those faces and facial expressions. So happy for you that your wonderful quilts are having their day to shine. Your quilts sure do have adventurous lives! How proud you must be to have a quilt on the cover of quiltmania. I will keep an eye out for it here in the U.S. Congratulations!!! !